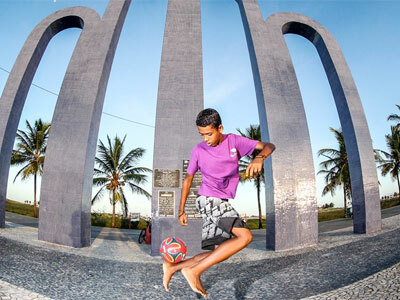 Only a few weeks remain until the kick-off of the 2014 FIFA World Cup in Brazil – and the much-watched football (or soccer, to those of us in the United States) tournament will bring all eyes to South America’s largest economy. FIFA, by the way, stands for Fédération Internationale de Football Association and the league, governed by Swiss law, was established 110 years ago in 1904, if that gives you some perspective on the long-standing popularity and tradition of this sport worldwide. Brazil, the world’s fifth largest country by both geographic size and by population, has long been a fertile industrial and consumer market for U.S. companies as well as a rich trove of raw materials and natural resources. With the Portuguese-speaking nation front and center this early summer, why not seek some business features about local ties to the land that gives us Rio de Janeiro, Carnival, championship race-car drivers, the Amazon and of course coffee, sugar and orange juice? You might not know, for example, that Brazil’s Embraer is a leading producer of the regional jets many Americans fly on daily, as this recent Bloomberg article notes. Or that it is a leading source of precious metals and semi-precious gemstones like amethyst, garnet and topaz – a major central state in fact is named Minas Gerais, or general mines. The country is a study in the pros and cons of hydroelectric power; as The Economist recently reported, the country’s growing economy and middle-class are boosting demand for electricity but environmentalists fear for the future of the rainforests. How does the Brazilian grid and technology – often lauded as state-of-the-art – compare with what your local utilities are doing to prepare for the future. You may be surprised at which of your local household-name corporations already have a strong foothold in Brazil. Ford Motor Co., whose Ford do Brasil unit produced its first F-series truck there in 1957, and today operates (among many others) a state-of-the-art factory in the northern state of Bahia; the Camacari assembly facility has been lauded for its environmental efforts as well as extensive worker training and mobility programs. Why not check with the big employers and manufacturers in your region for similar examples? The Brazil-US Business Council offers a list of members you can check for regional ties; another lobbying group, the Brazilian-American Chamber of Commerce has a searchable member database you can peruse by industry, to seek firms on your beat. In an interesting contrast to the current rise in income/wealth inequality in the United States, Brazil – long home to some of the world’s most abjectly poor people – is seeing a slight shrinking of that gap, according to this recent Forbes piece, though as Forbes points out a small handful of conglomerates still control most of the country’s capital. This relatively booming consumer market is creating more opportunities for businesses; note this briefing paper from delivery service UPS extolling the benefits of doing business in Brazil, for example.